Vaping vs Smoking: Is the Former Really a Healthier Alternative? What ​​Does the FDA Have to Say​? Is Vaping Safer than Smoking Because It’s Cleaner? 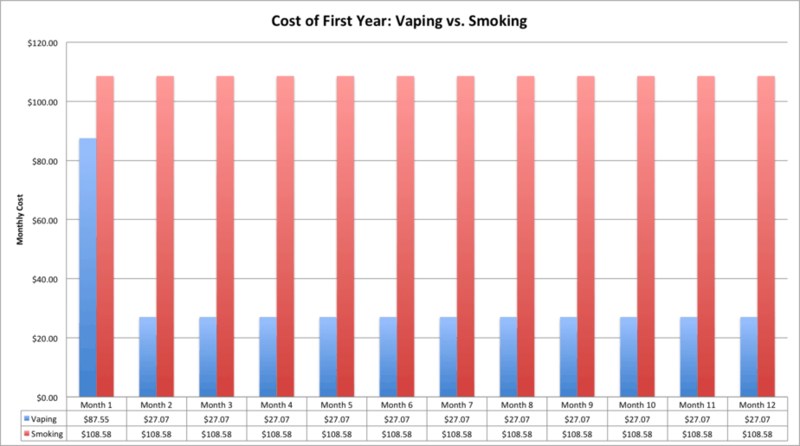 Is Vaping Better Than Smoking Cigarettes for Your Budget? How Does Second-Hand Smoke Fare in the Contest of Vaping vs Smoking? Complaints about the risks of secondhand smoke in public places started a chain reaction and a mass move away from cigarette smoking. Cigarette manufacturers were required to carry warnings on their ads and packaging. Smokers were required to step outside of public places and crowd in designated smoking areas because of bans on public smoking. Taxes on cigarettes increased to discourage people from smoking. Together, these societal shifts started to change the way smokers thought about their nicotine addictions, causing them to wonder if it was worthwhile to continue smoking. Many smokers turned to various methods of kicking their smoking habits including nicotine patches, hypnotism, and other ways of quitting smoking. Many had marginal or no success. Earlier attempts at popularizing vaping has little success before smoking became unpopular. Read on to learn how e-cigarettes evolved and how they measure up against the harmful effects of cigarette smoking. The first e-cigarettes can be traced back to 1963 when Herbert A. Gilbert when heated up a nicotine solution to produce steam. He patented the product, but didn’t pursue it further and it never went to market. The next scientist on the​ scene was Dr. Norman Jacobsen. He invented the Favor cigarette in 1979 and connected it with the word vaping. While his version was noticeably improved from Gilbert’s version, society wasn’t quite ready to embrace the idea of vaping just yet. Health risks of cigarette smoking were being blasted across ads, but smoking was still socially acceptable in private and public spaces. During the 2000’s, society placed a stronger emphasis on healthy living. Smokers were seeing increased barriers as the risks of second-hand smoke became a hot topic. Smoking bans became the norm and cigarette taxes increased to discourage smokers from buying and smoking cigarettes. The change in societal view reignited interest in healthier smoking alternatives and created a worldwide debate over smoking vs vaping. A Chinese pharmacist named Hon Lik reinvented the e-cigarette in 2003, making it into the modern form. The Chinese market was wildly receptive to e-cigarettes and spread to neighboring countries quickly. E-cigarettes reached the United States in 2007. Check out our vape 101 guide for more info on the history of vaping and vape basics. You don’t have to be a chemistry major to understand that tobacco smoking and vaping both require a substance to be heated to a degree that a chemical reaction occurs. What makes vaping better than smoking is the type of product that is being heated and the required temperature for the chemical reaction. The American Lung Association states that cigarette smoke contains over 7,000 known chemicals. Of those chemicals 69 of them are known carcinogens that lead to cancer, lung disease, and other health risks. E-cigarettes heat up e-liquids that are made of either propylene glycol (pg) or vegetable glycerin (vg). The liquid is heated to a high enough degree to transform the liquid into vapor. E-liquids contain nicotine in liquid form, which is extracted from tobacco. Check out this video for a visual representation of the build-up of tar in your lungs and in your mouth and hair as cigarettes are compared in a one-on-one test with e-liquid. Despite the absence of tar and other carcinogens, liquid nicotine is known to have a few harmful effects, but only when used improperly. Small doses of liquid nicotine, when ingested or absorbed through your skin, can be lethal. For adults, less than a tablespoon of nicotine can be fatal. In children, as low as a teaspoon can kill a child. While there is no safety risk due to fire and hot ashes, e-cigarettes and e-liquids that are left lying around could be picked up by children where they could accidentally ingest lethal amounts of nicotine. With the popularity of e-cigarettes, the Food and Drug Administration (FDA) has been forced to dig a little deeper into the safety of e-cigarettes, particularly as health risks pertain to the youth and teen populations. ​E-cigarettes contain nicotine and as young people get addicted to nicotine, it may lead them to try tobacco products, including tobacco cigarettes, which leads to health risks and premature death. ​There is no consistency of the ingredients in e-liquids or electronic cigarette devices, so there is no way to guarantee that vaping is safe for youth. The FDA has not yet had time to evaluate clinical studies about the safety and efficacy of e-cigarettes. There is not currently enough information to know if e-cigarettes are safe or which concentrations could potentially be safe. The FDA is particularly concerned about youth because there are currently no age restrictions on vaping, leading youth to experiment with vaping at their own risk. Vaporizers don’t even have to post health warnings, leading youth to believe that it is completely safe. It is not uncommon for many young people to engage in risk-taking behaviors during the teen years and the availability of vaporizers makes it a popular social activity. The large offering of flavoring adds to the novelty and excitement about vaping in the younger set. The FDA continues to explore the safety and consider potential regulation. For the present, the FDA recommends that parents tell their children and teens that e-cigarettes are not safe for them to use. With regards to evaluating air cleanliness in the debate over vaping vs smoking, vaping takes the lead as the cleaner option. 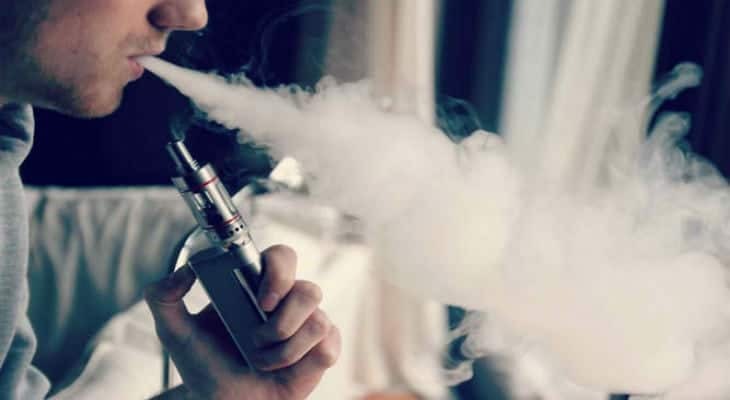 There is no question that vaping produces nicotine without the harmful effects of tar and carcinogens, but mass marketing has produced some new concerns over the quality of electronic devices. Once society opened up to the idea that vaping is better than smoking, manufacturers responded with newer products to appeal to the styles and brands of vaporizers that the buying public wanted. Chinese companies, particularly smaller manufacturers took the lead in assembling knock-off vaporizers with an under-market sales price. Quality control took a back seat as Chinese manufacturers sought to make fast and easy profits from e-cigarettes and their accessories. The results led to minor injuries of e-cigarette users, caused by exploding batteries. Other tests suggest that poor quality vaporizers may release metals when they are heated, releasing toxic or carcinogenic impurities into the air. Without forced regulations, the industry responded quickly on their own to public reports about quality concerns, by creating higher quality vaporizers. There is a new trend in marketing higher quality products including features like thermal protection, reverse battery protection, short circuit protection, and other safety features. There’s no question that nicotine is addicting. Even though you can buy e-liquid that contains nicotine, you can enjoy vaping better than smoking when you know that you are not taking harmful carcinogens into your body. Many people have found that vaping is an easier way to taper off their nicotine addiction than nicotine patches, nicotine chewing gums, or inhalers. By switching to e-cigarettes, you gain control over the amount of nicotine that you inhale. Starting with a strong dose of nicotine, you can fight your nicotine addiction by tapering off the nicotine levels over time, similar to going from strong cigarettes to lighter tobacco brands. Just like your body adjusted to taking in tar and nicotine, it will also adjust and adapt to taking in lower doses of nicotine. When you feel able to move to the lowest strength of nicotine, you will be almost at your goal of being nicotine free. Vapers who can taper off their nicotine habits to a low dose of nicotine often find that this is a good time to leave their e-cigarettes at home, occasionally, when they go out. Not having it accessible helps to break the habit of feeling like you need to inhale vapors. The idea behind using vaping to quit cigarette smoking is to start with a strong nicotine solution and downgrade to a medium nicotine, then a low nicotine solution, and finally tapering off to a zero nicotine e-liquid. Most people find that using vaping to quit cigarette smoking is most successful when tapering off the nicotine slowly, perhaps over 6-12 months. Check out our Best Vaporizer to Quit Smoking article for help getting started. Beyond the cost to your health, you can’t have a debate about both of them without taking a look at the difference at financial costs. First, let’s take a look at the cost of an established cigarette smoking habit. On a national average, smokers paid about $7.26 per package of cigarettes in 2015. This number may be a little skewed considering that depending upon what state you live in, cigarettes can be as low as $4.98 a package or as high as $13.50 in a state like New York. Depending upon where you live, costs for smoking a pack a day of cigarettes will range between $150-$400 a month and in a year can cost thousands of dollars. For someone used to spending less than $10 every couple of days to maintain their smoking habit, the relatively higher buy-in price of vaping can be a strong deterrent. Quality starter kits routinely run $50 or more, after all, and with regular coil and e-juice purchases, does it really make that big of a difference? Most people try the disposable e-cigarettes in the beginning. Disposables range between $6 and $12 each. A single e-cigarette should last about the same time as it takes to smoke 2-3 packages of cigarettes. Since you just throw it away when you are finished with it, there is no additional cost for replacement parts. When comparing cigarettes with disposable e-cigarettes, the e-cigarettes are less expensive by a landslide. Vape users that make the commitment to switch to vaping may invest in a rechargeable vaporizer that uses pre-filled cartridges. A high-end vaporizer can cost as much as $250, but you can reuse it, and it’s still substantially cheaper than cigarette smoking. Starter kits are a good value because they typically include charging accessories, extra batteries, and a couple of cartridges. Starter kits range between $40-$60 and additional cartridges or coils run between $2-$4 each. Of course, everyone’s individual mileage will vary depending on smoking/vaping habits, nicotine strength, vendors used, equipment purchased, shipping methods, etc. If someone gets knee-deep into vaping as a hobby, for instance, those high-wattage devices and authentic RDAs can add up fairly quickly. However! For the average user and for someone who just wants to quit smoking and doesn’t want to turn vaping into a lifestyle it’s easy to see how continued regular use of an e-cig can save monumental amounts of money when compared with equivalent traditional tobacco use. Check out our How Much Vaping Costs article for more info. One small study showed that vaping releases ultrafine particles and potentially carcinogenic hydrocarbons in to the air. Many feel this study caused unnecessary alarm, because concentrations are so low that second hand vapor doesn’t pose a risk to vape users or bystanders, even when exposed to vapors indoors. Concerns and misinformation has grabbed the attention of anti-vaping groups, who are using it to push for bans on public use of e-cigarettes similar to the current bans on cigarette smoking in public spaces. In 2014, the United Kingdom banned e-cigarettes for minors. The city of Chicago is the third largest city in the country and the Chicago City Council took the lead and voted in favor of regulating e-cigarette smoking. E-cigarettes are no longer legal to be used in public places. Stores are now required to keep them behind their counters and may not sell them to minors. In other parts of the world, e-cigarettes are required to carry health warnings and be childproof. E-cigarettes are banned in some countries all together. Pioneers in the world of vaping, like Herbert A. Gilbert and Dr. Norman Jacobsen, had the right idea during the wrong era. Despite the harmful effects of tar and carcinogens of traditional cigarette smoking, it’s taken societies all around the world a long time to come to terms with the risks of cigarette smoking and to deal with them in a meaningful way. 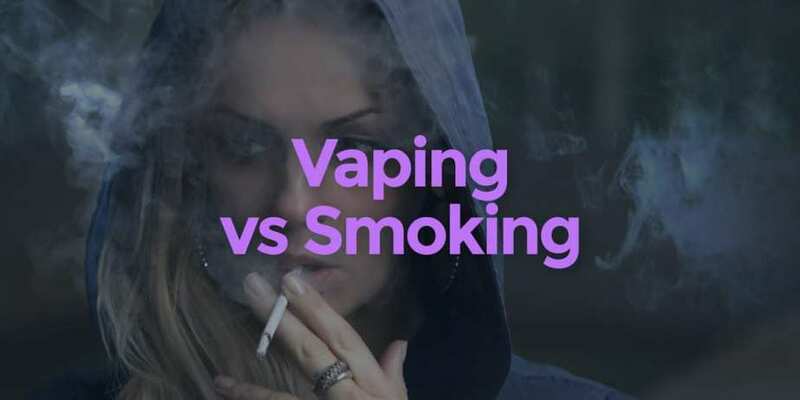 As vaping has become a viable way to help smokers break their smoking habits, new concerns have surfaced as anti-smoking and anti-vaping campaigns started to look for ways to discredit vaping. The vaping industry has made quick work of improving the safety of its products in response to its critics. Studies are still needed to fully prove that vaping is harmless, which will keep the FDA busy assessing positive and negative effects of vaping. Until then, most people are finding that vaping is far safer than cigarette smoking and is far easier on their budgets.